Fairy Wing prism, highest grade premium Strass crystal (European made) with laser-etched Swarovski logo. 8 Swarovski crystal 28mm Heart prisms (1.10in.) Highest grade premium Strass crystal (European made) with laser-etched Swarovski logo. 3 Swarovski crystal 40mm Heart prisms (1.57in.) Highest grade premium Strass crystal (European made) with laser-etched Swarovski logo. 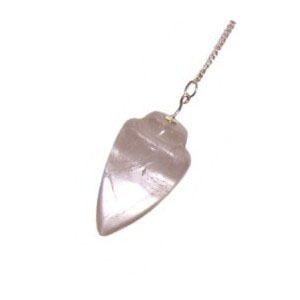 Illuminate prism, quality lower lead crystal. 10 Swarovski crystal 28mm Pear prisms (1.10in.) Highest grade premium Strass crystal (European made) with laser-etched Swarovski logo. 8 Swarovski crystal 38mm Pear prisms (1.50in.) Highest grade premium Strass crystal (European made) with laser-etched Swarovski logo. 2 Swarovski crystal 63mm Pear prisms (2.48in.) Highest grade premium Strass crystal (European made) with laser-etched Swarovski logo. 4 Swarovski crystal 50mm Twist prisms (1.97in.) Highest grade premium Strass crystal (European made) with laser-etched Swarovski logo. 4 Swarovski crystal 50mm Twist AB prisms (1.97in.) (with iridescent AB coating)rnHighest grade premium Strass crystal (European made) with laser-etched Swarovski logo. 3 Swarovski crystal 137mm Arrow prisms (5.38in.) Highest grade premium Strass crystal (European made) with laser-etched Swarovski logo. 5 Swarovski crystal 50mm Diamante prisms (1.97in.) Highest grade premium Strass crystal (European made) with laser-etched Swarovski logo. 15 Swarovski crystal 40mm Lumiere prisms (1.57in.) Highest grade premium Strass crystal (European made) with laser-etched Swarovski logo. 8 Swarovski crystal 50mm Lumiere prisms (1.97in.) Highest grade premium Strass crystal (European made) with laser-etched Swarovski logo. 8 Swarovski crystal 63mm Lumiere prisms (2.48in.) Highest grade premium Strass crystal (European made) with laser-etched Swarovski logo. 6 Swarovski crystal 32mm Matrix prisms (1.27in.) Highest grade premium Strass crystal (European made) with laser-etched Swarovski logo. 3 Swarovski crystal 50mm Fairy Wing prisms (1.97in.) Highest grade premium Strass crystal (European made) with laser-etched Swarovski logo. 3 Swarovski crystal 40mm Shell prisms (1.57in.) Highest grade premium Strass crystal (European made) with laser-etched Swarovski logo. 6 Swarovski crystal 32mm Lily prisms (1.26in.) Highest grade premium Strass crystal (European made) with laser-etched Swarovski logo. 5 Swarovski crystal 30mm Top prisms (1.18in.) Highest grade premium Strass crystal (European made) with laser-etched Swarovski logo. 4 Swarovski crystal 40mm Top prisms (1.57in.) Highest grade premium Strass crystal (European made) with laser-etched Swarovski logo. 10 Swarovski crystal 20mm Moon prisms (0.79in.) Highest grade premium Strass crystal (European made) with laser-etched Swarovski logo. 6 Swarovski crystal 30mm Moon prisms (1.18in.) Highest grade premium Strass crystal (European made) with laser-etched Swarovski logo. 10 Swarovski crystal 38mm Icicle prisms (1.50in.) Highest grade premium Strass crystal (European made) with laser-etched Swarovski logo.